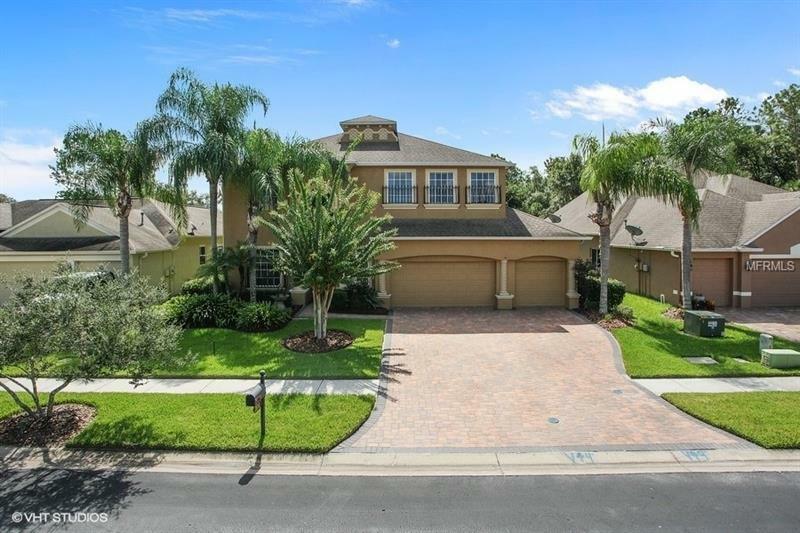 Sensational 5 bedroom pool home in beautiful Seven Oaks. Upstairs-Downstairs, -Inside-Outside, Everything you see will please you. Experience the joy of cooking in this fully equipped, gourmet kitchen with maple wood handmade solid cabinets, blumotion soft closing doors, spice rack pull outs, pantry with pullout shelves, 2 shelf full circle lazy susans, granite counters, stainless steel appliances, Monogram ovens, microwave/convection and traditional oven, Monogram dishwasher with custom cabinet fronts, Samsung refrigerator and Monogram gas 6 burner stove. Kitchen remolded in 2014. Elegant Brazilian walnut hardwood floors installed in 2009. Two master suites, one upstairs and one downstairs, offer a soothing oasis of special conveniences and comforts at day's end. CASUAL POOLSIDE LIVING...can be yours to enjoy in this beautiful, heated, salt water pool and spa. Every detail describes perfection! See for yourself. Call today for a showing. Pet Restrictions: See deed restrictions for pet restrictions.